Yesterday, I together with my husband and son went to Secondwind Running Store in Ortigas. 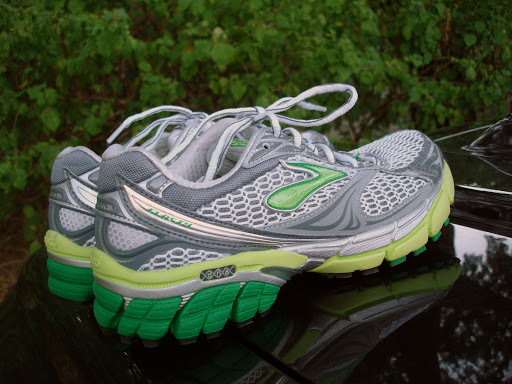 I wanted to buy a new pair of running shoes because I felt that my feet have grown a little. My toes were already touching the tip of the shoes I was wearing. I knew too tight shoes can cause a black toenail. No, please! I already have one and I don’t want another black toenail. First Johnny of Secondwind asked me to step on a board with a gel-like substance (sorry, I don’t know what it’s called) to determine my foot/arch type. He asked me step one foot at a time with bent knees. I asked why I had to do it that way. Unlike my previous gait analysis where they asked me to step on the board with both feet at the same time. Johnny explained that in running, we land one foot at a time. Good point. After that he asked me to run on the treadmill. Then he measured my heel to toe length and width. So I’m a neutral runner and my shoe size is 7.5, width B. My last pair, was a size 7. Johnny disappeared into the storeroom and then reappeared with 6 pairs of shoes. Oh they were all so beautiful! I secretly wished I could buy them all. Haha. Anyway, each time I tried on a pair, he would ask me to run on the treadmill (worn shoe evaluation) to determine which one suited me best. 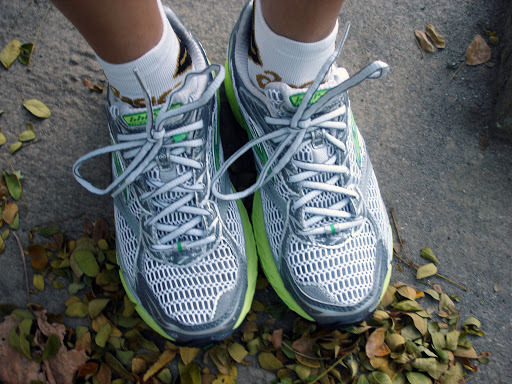 I liked 2 pairs: The Mizuno Wave Precision and Brooks Ghost 4. I liked the Mizuno because it was light, very comfortable and I fancied the cherry blossom design. So girly! “I really like both of them,” I said and quickly glanced over my husband’s way and hoped to get some positive response. But my husband just looked away. LOL. (Men are so dense!) Ok, just one pair…for now. It was a hard decision but I finally went for Brooks Ghost 4. The excellent cushioning was the selling point. All that running and shopping made me hungry so we went to Casa Marcos, just several doors away from Secondwind. I ordered their Adobo Flakes pandesal. Oh wow! 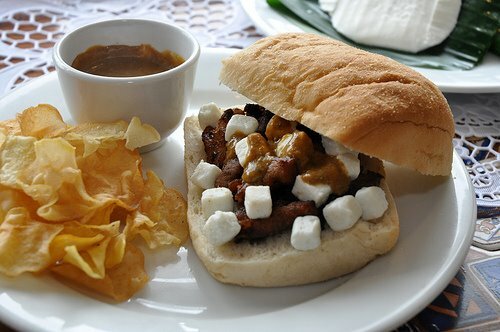 The pandesal was hot and toasty and the adobo flakes with kesong puti was out of this world. It was delicious. The sauce that went with the sandwich brought it to perfection. And the portion size was big, good enough for sharing…or not!